Hello world and welcome to week six of my weekly blog. In fact I had to double check if it was week six already, I swore it was only five. Well as I head into week six of the blog it is starting to give me and everyone reading the blog each week, exactly what I wanted to achieve. A central place to bring everyone together to know what is happening with the show and in turn things related to it. I have found the biggest problem with trying to make things successful on social media is how far do you stretch yourself. As you all know there are plenty of avenues for promotion and I find it a real challenge to be able to get show information consistently to everyone. Should you simply be on Facebook and twitter, even then your followers will be split, some will follow you on Facebook, some will follow you on Twitter and that is why I think it is important to have a constant page that everyone can come to, like this blog. I believe even more so, that this is very important for bands. Yes definitely have all your social media outlets, especially the main ones , but don't fall for the trap that no one comments on your posts etc, these are busy mediums and maybe your followers are just content to quickly skim through your news and follow any links you post. While generally I think at the very least a follower or DJ, is looking for links to your band on Facebook, Twitter and or a page hosting your music, I also think having a constant fully functional webpage is a must. People want to see a bio about you, they want to know how to get to your music, what news you have to share and where to find you on social media, a webpage gives them that very important constant point of contact for all of this and the beauty of a webpage is that they don't have to be an actual member of something, like a Facebook group etc to see it. Quite likely most followers could visit your webpage only once, but it is the way point for them to find you more easily with direct links to things like your Facebook page. I can tell you right now, it's often a challenge to find bands with similar names to other bands on some of these social media outlets. Soundcloud is a very clear example of that, but having a direct link to your bands various social media pages from your webpage removes that confusion and makes it very easy for your new fans to follow you. Okay now as I said this blog is about what is happening with the show and things related to it, so with that in mind bands you might like to send me news on any upcoming shows and/or music releases each week. Keep in mind the blog is posted every Saturday, so if you could send me the details by Wednesday each week that will greatly help. As with any music you send me, please use my email address of skerat@zoho.com to send me news. Also to everyone bands and followers alike please send me your send files for the show, saying who you are and where you are from and that your listening to Skerat's Eclectic Podcasts. 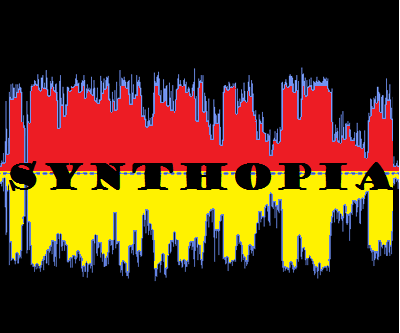 and remember this months show of Skerat's Eclectic Podcasts can be found here, with a great list of 44 brilliant tracks and next Saturday the 25th of September will be when the next show will begoing up and that can be found here and while your at maybe check out some of the older Synthopia shows :) Well that's it for this week, thank you all for your continued and excellent support and until next weekend this is Skerat over and out.